I am the program director of the PDEng Software Technology program and assistant professor at the Department of Mathematics and Computer Science, Eindhoven University of Technology (TU/e). The Professional Doctorate in Engineering (PDEng) degree program in Software Technology is one of the twenty PDEng degree programs offered at the Dutch universities of technology organised in the context of the 4TU.School for Technological Design, Stan Ackermans Institute. The programs fall within the 3rd cycle of higher education, as do the doctorate PhD programmes. As an assistant professor, I am working on the system/software architecture related topics of autonomous and cooperative driving vehicles as well as Cooperative Intelligent Transport Systems (C-ITS). My research is successfully funded by the Dutch and European research funds. Prior to my current roles, I worked as a researcher at the Centrum Wiskunde & Informatica (CWI) in Amsterdam Science Park and a PhD researcher at the TU/e. My PhD research was carried out in the context of the Hybrid Innovations for Trucks (HIT) project funded by the Dutch government. 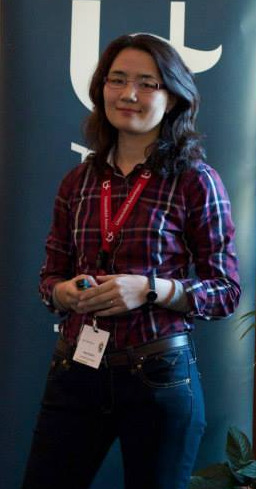 In 2015, I received my PhD in Computer Science in the Software Engineering and Technology (SET) research group of the Department of Mathematics and Computer Science at the Eindhoven University of Technology. My promoters were Prof. Dr. Mark G.J. van den Brand and Dr. Alexander Serebrenik. I have obtained my PDEng degree in Software Technology in 2005 and MBA degree in 2002 from Maastricht School of Management. My research interests include software architecture description mechanisms (architecture frameworks, architecture description languages), model-driven development, component-based software engineering, and software quality. Before the HIT project, I worked as a scientist and senior scientist for half a decade working on various advanced software development projects at the Philips Research Lab, NXP Semiconductors (former Philips Semiconductors), and Virage Logic. PDEng ST, ASD, and MSD trainees have finalized a multidisciplinary training project with European Space Agency . The project goals was about simultaneously controlling several UAV's (unmanned aerial vehicles). Our trainees used TASTE , ESA's open source toolset, for model-driven software engineering and demonstrated three quadcopters flying in formation.